I’m a big whisky fan, with bourbon and single malt generally being the go-go choices for me after a hard week, day or morning. I don’t profess to know a lot about whiskey other than ‘I knows what I like’ and my rule of thumb is to generally go for a (single malt) whisky older than my eldest child; as you would expect, this is now starting to become expensive as he enters his teen years. So when the King of style David Beckham (an unofficial title I believe) helped to launch a new stylish whiskey brand, I wanted to give it a go. 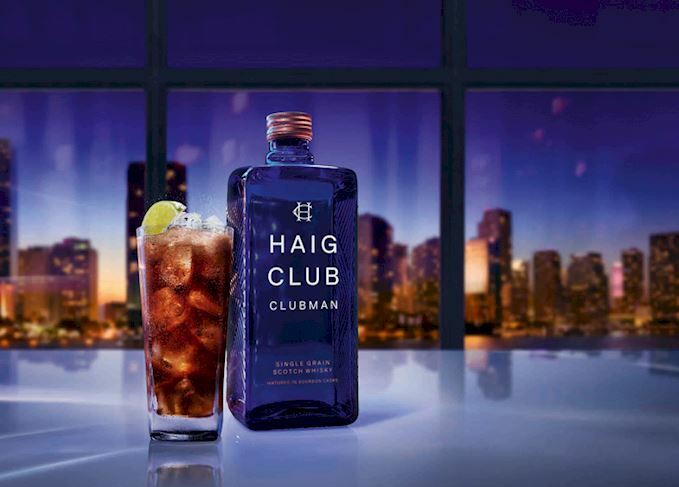 Haig Club – a single grain scotch whisky (different to single malt) launched with some swish advertising, great branding, and of course Becks upping the cool stakes as a partner in the venture. I really enjoyed the Clubman, it’s a stylish addition to the drinks cabinet (Damn you Beckham) and is an easy drink. The Clubman won’t be to everyone’s taste due to the sweetness (it does have a bourbon taste, but very light in colour and certainly doesn’t taste as strong as many of the whiskys on the market), and because of the Becks link; but I liked it and would recommend you give it a whirl. It’s a good alternative with coke to Jack Daniels, though it is sweeter and not a bourbon. There are some whisky cocktail recipes here, let me know what you think of it!